Overall snow crab volume in the U.S. could look different than market participants envisioned a few months ago. 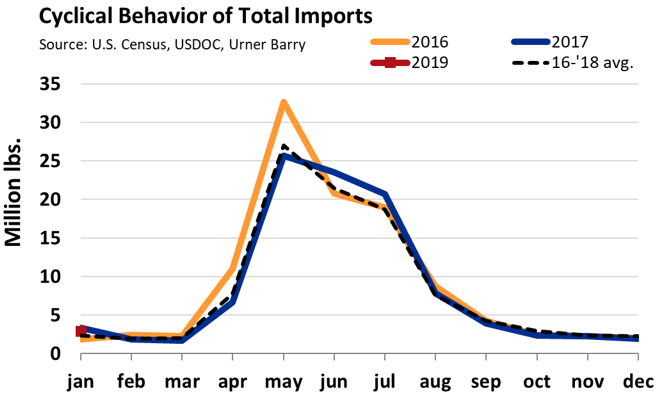 Total imports of all snow crab into the U.S. market for 2018 ended the year down 11.1 percent. Most notably out of Canada, imports into the U.S. market were down 21.8 percent. Canadian snow crab was down 17.6 million pounds compared to last year.